Okay, so Moviepass is weird again. I woke up like at 3am and at 4am or so I decided I wasn’t going to get back to sleep and got up occasionally to look at something on the computer or on my phone. And, although it still said a couple of movies had to be seen at e-ticket places, other than that, everything looked okay. But now there are no morning shows and no afternoon shows, so options are very limited and mostly involve peak pricing (which I still haven’t checked to see how much that is around here). So, in theory, I could go now and get a ticket for something I think is called 8th Grade if I want to see that at about 6pm. However, I don’t know which if any theater I would be near at 6pm or if it would be a good time to take a break and see a movie or any of that. And if I wait until 6pm I’d probably get a message that there are no available screenings for the rest of the day. Might as well just take a chance at being near an e-ticket place and see Christopher Robin or Darkest Minds. Or just wait and see what happens tomorrow. I looked at my Moviepass history, and it says that I’ve seen 61 movies. Also, I’ve seen the Mr. Roger’s thing when they just gave me a ticket when I couldn’t get the thing to work, and I’m not sure if that includes the Fathom Event thing that I wasn’t supposed to see, when the theater did me a favor by charging me for a senior ticket. So maybe 63, or maybe more if the history is missing a few other things. But let’s say 63. 17 of those were either things my husband wanted to see or I might have wanted to see enough to go by myself and pay for a ticket. A discounted ticket, not a $10 or more ticket. So, maybe 17 times $5, maybe $85? Anyway, this is the 8th month I’ve had Moviepass, soon to be the 9th month, so I’ve spent $80 so to be $90. On the one hand, that’s just about perfect. On the other hand, it’s really rather had to make a decision based on that. I can either look at it as I didn’t save any money seeing what I really wanted to see, or that I got to see 46 other movies for free. Did see the other 46 movies in a theater for free make me happy? At first, yes, very much. Now, sometimes. Definitely still thinking the idea of 46 free movies makes me happy, or just having the option of watching all the movies makes me happy. And somehow, I’ve still missed movies. Even with 46 free movies I can think of a few that I missed and it just wasn’t the same watching on TV. 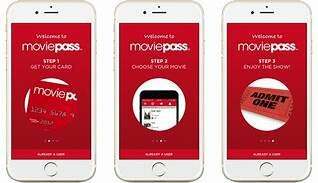 Okay, so now I have to ask myself, if Moviepass is no more, or if it just stays this annoying, is it worth two or three times that much to either drop it and get the A-List or keep it and also get the A-List. Do I want to spend $240-$360 a year watching movies?